Mike Crates has been here at Ashton’s since leaving school! 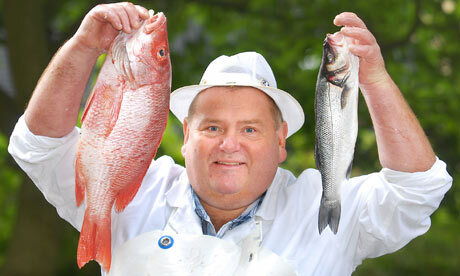 Always striving for excellence he has entered the British Fish Craft Championships 41times! Mike, 56, from Penarth, has come second a record 19 times in that time but had never lost the ambition to claim the title. The British Fish Craft Championship competition has been running for 61 years and was this year held at Cardiff Bay. Mike, who has worked at Ashton’s in Cardiff since leaving school at 15, said his ambition had been realised. Competitors had to enter five out of a choice of eight contests and included fish and poultry preparation. Entrants could receive points for skill, speed and accuracy of weight once cut, depending on which contests they chose. 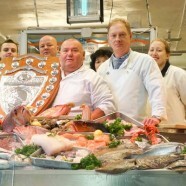 Over 90 competitors from independent fishmongers and supermarket chains took part. Mike said: “It’s hard to believe after so many years of competing and coming so close, but it feels great. Jonathan Adams of Ashton’s – newly elected president of the National Federation of Fishmongers – was delighted. The contest is held every August Bank Holiday weekend and used to move locations but for the past five years has taken place in Cardiff Bay as part of the city’s harbour festival. Victory after all these years has not blunted the ambitions of Mr Crates who is considering a defence of his title next year.